Since I apparently don’t spend enough of my spare time working on DCHeavyMetal.com I have started writing for another website as well, Scene Trek. My first post, about heavy metal in the middle east, is online and you can read it here. Feedback is welcome so leave a comment there if you’ve got some. And if that isn’t cool enough for you I’ve uploaded a nine song mp3 mix to go along with it that you can download for free here. The premise behind Scene Trek is something like that of Star Trek, but instead of scouring the universe in search of hot alien babes exotic alien life forms, we’re exploring the diverse worlds of music from every scene we can. This isn’t limited to heavy metal, Scene Trek covers music of every genre, and I’ve signed on as the official metal contributor for the site to make sure the heavier side of music isn’t overlooked. While I love covering the local metal scene and all the metal bands coming through the greater Washington DC area, Scene Trek gives me a chance to write about many of the bands I enjoy from all over the world that might never play here and thus never get to be covered on my blog. It also allows me to talk about bands all together in one scene instead of just the one band from a scene or location that happens to be coming through the area. And because Scene Trek is for all genres of music it also lets me expose some of the bands I really love to people who might not know much about heavy metal at all. The site was started by Dawn Reed, an old friend of mine who you may have seen as one of the hosts of the recently canceled music video show Strictly Global on the MHz Network, an international cable TV channel. Dawn isn’t one to just quit what she was doing for the show so she started this blog in order to continue to share her knowledge of music from around the world. 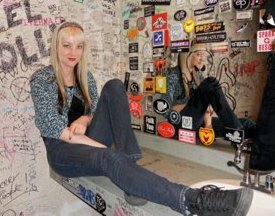 She is also an editor for the Deli Magazine’s DC website which covers the local music scene here in Washington DC. She’s really good at keeping her ear on the pulse of music from all over the world and I’m honored she is letting me write for Scene Trek. The site is brand new and at least for now none of us are making any money doing this, we just really love music. So if you enjoy checking out new and exotic music from around the world be sure to give Scene Trek a “like” on Facebook or a follow on Twitter and of course check in to the Scene Trek website’s blog regularly. If you know someone who might like the site or even just a specific post on it help us spread the word and let them know about Scene Trek. We want to make the site grow and there’s lots of ideas being bounced around but it’s going to take the help of music fans everywhere to get to where we want to be. I know that not everyone who reads DCHeavyMetal.com is going to care about what I do on Scene Trek, so I won’t post here every time I make a post on there, but I wanted to say something here to let people know where else I am writing. 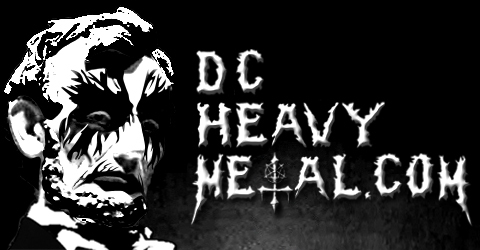 And don’t worry, DCHeavyMetal.com is still my main priority, think of Scene Trek as my side project band, haha. Thank you for reading the entirety of this shameless self promotion, you people that read this site make all the work worth it! No no, DCHeavyMetal.com comes first. The Scene Trek gig is what I’m going to do in addition on the side. It won’t take time away from DCHM, it will just take time away from my other spare time away from computers.